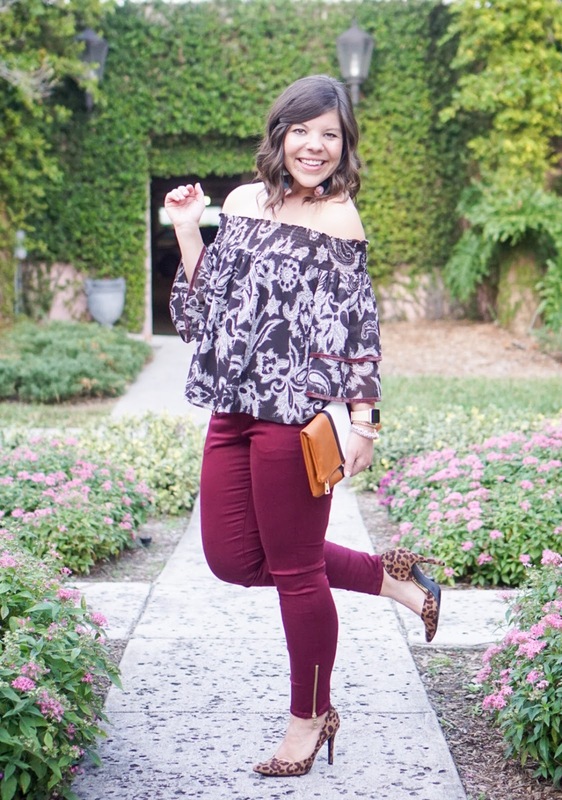 I have been hunting down the perfect pair of festive red pants all season (which is harder than it sounds surprisingly)! 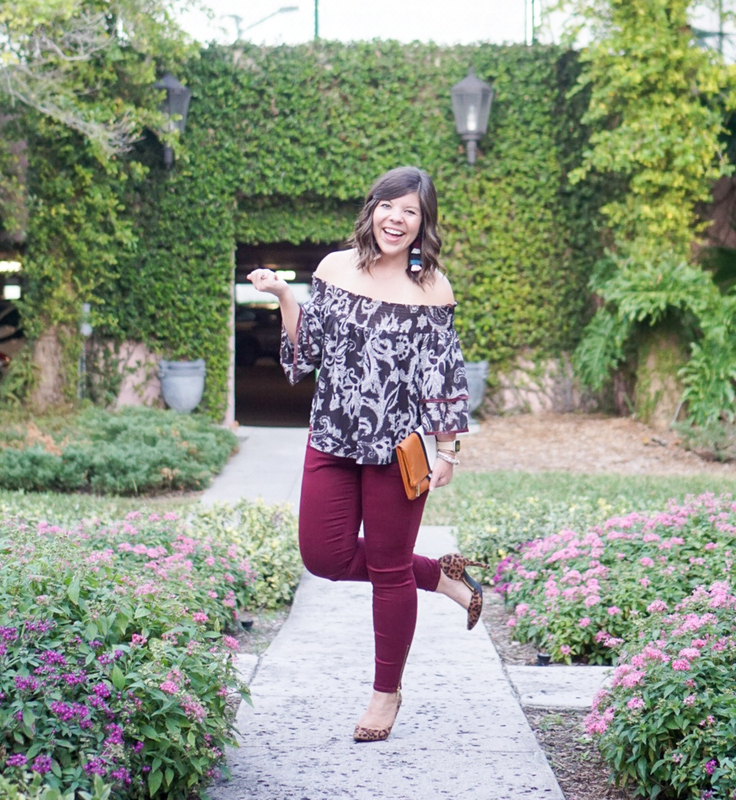 Leave it to my favorite store to come to the rescue with the most gorgeous pair of cranberry sateen pants– I’m obsessed! 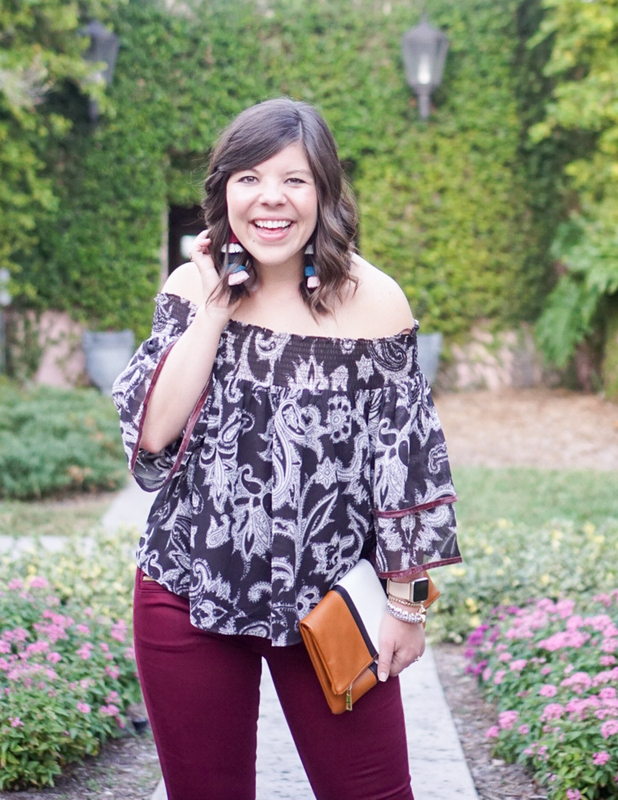 They are giving me all the Christmas feels & match the velvet trim of my off the shoulder top perfectly! And can we chat about these gorgeous earrings?! 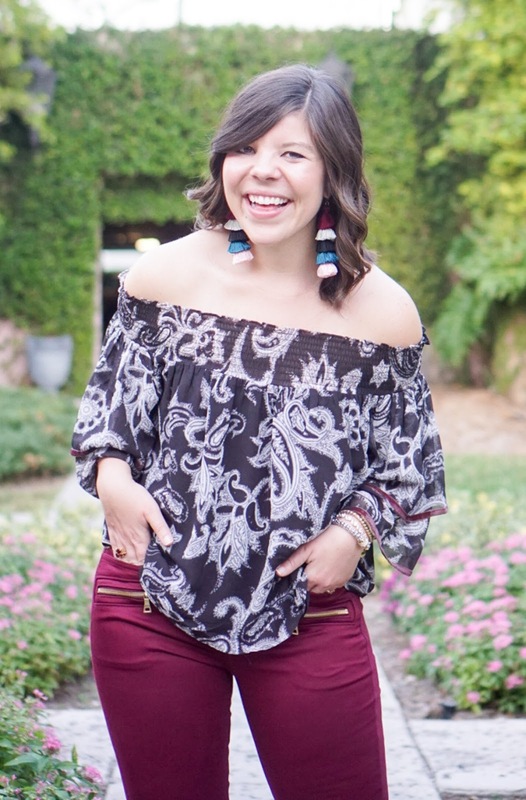 Sydney, the owner of The Knotty Tassel, can design any color combo you want- and they are such great quality. I’m seriously so excited to wear these throughout the winter season! Nothing gets me in the Christmas spirit like some good (aka “cheesy”) Christmas movies! The hardest part about getting rid of my cable a few months ago was that now I don’t have the Hallmark Channel… and in my world Hallmark = Christmas. Not to fear though, Netflix has been coming in clutch and has a bunch of fun new movies they’ve released this season. I thought I’d round up a few for y’all if you’re still wanting to get into the spirit of the season too! 2. Christmas Inheritance– Netflix just released this one about a rich heiress who is sent to a small town to learn how “regular people” live before inheriting her family toy business. Of course there are also a lot of Christmas cookies & a snowstorm that brings the town together… all wins in my book! 3. 12 Dates of Christmas– This is my all time favorite Christmas movie! It stars “Zach” from Saved by the Bell (yes!) and Amy Smart- quality casting! It’s about a guy and girl who keep reliving the same date over and over again- each time learning more about each other (and of course falling for each other)! Y’all this one is a total winner! 4. A Christmas Kiss & A Christmas Kiss II– Ok, both of these movies have the same basic plot (like really) but they are cheesy, happy, feel-good stories that will leave you smiling & feeling festive! 5. Merry Kissmas– Not going to lie to y’all, this one has a similar plot to the above movies! ha. Boy kisses girl in elevator, not knowing who either of them really is, and thus chaos & love ensues! 6. The Spirit of Christmas– Just your typical “woman falls for a ghost from the 1900’s” sort of tale… it’s cheesy in the best way possible and actually does leave you wondering how it’s going to end! Thank you to the lovely So Sarah Hunt for snapping these pictures! Next Post Gifting with Girl Meets Bow: For the Dogs & Mamas! Im all for cheesy flicks this Christmas too! Thanks for these recommendations dear! This is the cutest holiday look! 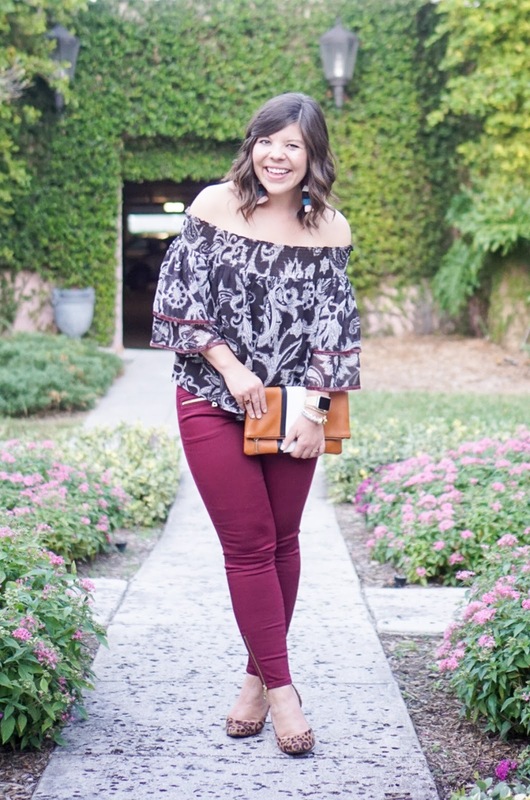 I have been loving my pants that are a similar color for this time of year! I know how it is to be on the hunt for the perfect item and not find it! I have been looking for the perfect red sweater with no luck! These pants are adorable! Netflix just came out with a poll saying that The Christmas Prince is their most watched Christmas movie and that a lot of people are watching it every day. I will have to put it on my list to watch this week! I love the recommendations they are so much fun to binge watch on Netflix! I just made a note to totally watch some of these this week! Sounds so cute! I adore your pants, and the leopard shoes with them! Beautiful!! 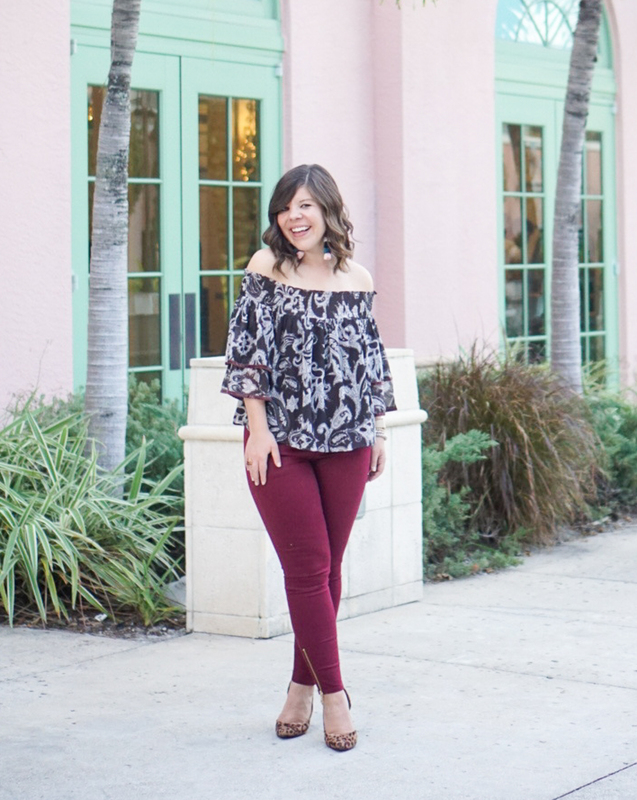 Love the cranberry sateen pants, and how beautiful is the velvet trim on your top? Gorgeous! You looks adorable. Love the earrings. I love everything about this outfit! Loft is my go to store for just about everything too. 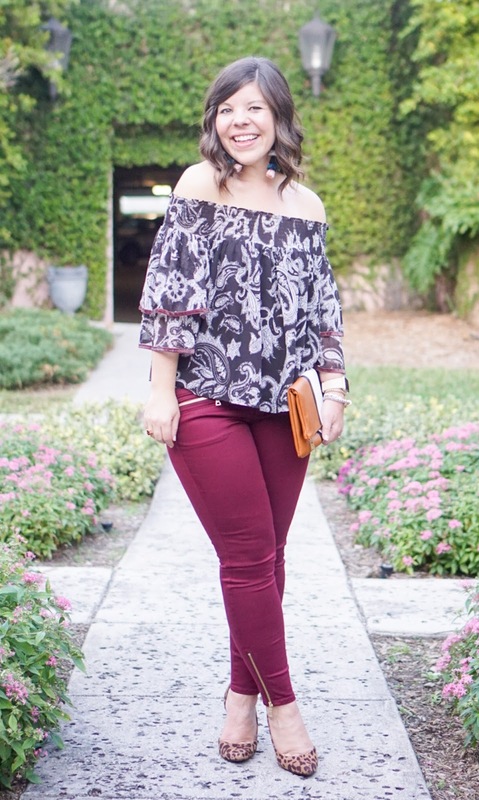 I saw those pants online and wasn't sure about them, but they look so cute on you I might have to try them out! Love the look! I needed some Netflix recommendations and I'll definitely watch a few of your picks! 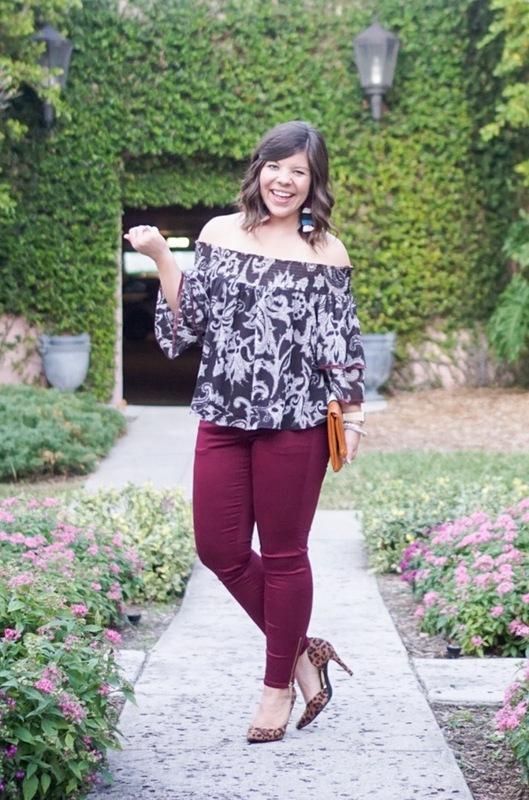 Ok, I need these pants in my closet stat! And I am so glad I have found a fellow 12 Dates of Christmas lover! It is such a cute movie. I haven't seen #4-6, so I will definitely be checking those out!